ADELAIDE, Australia — A koala dubbed “Bear Grylls” was released back into the wild in South Australia after it miraculously survived being hit by a car traveling along a highway. 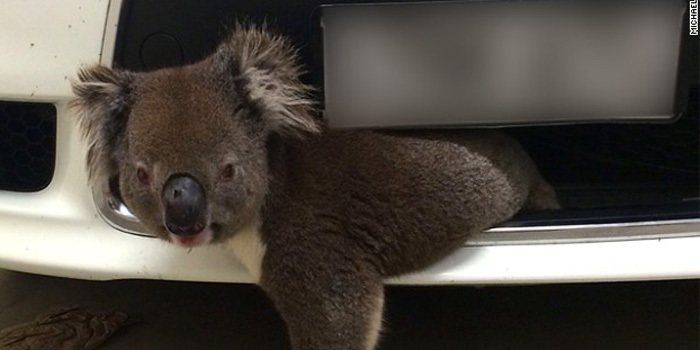 Named after British adventurer and TV personality, Michael “Bear” Grylls, the koala ended up safely wedged in the car’s grille and remained stuck there for the 10 to 15-minute trip until the driver returned home. “They are releasing him back into the wild tomorrow at 2:30 p.m and we are going to be there and see him get released and make sure he’s OK,” Loren Davis, the driver of the car the koala became lodged in, said Thursday morning during an interview with a local news group.